Elderly and the aging often have specific needs when it comes to staying happy and healthy. It’s quite common for pensioners to develop dental problems after decades of simply living your life, but this doesn’t mean you need to live with these problems. 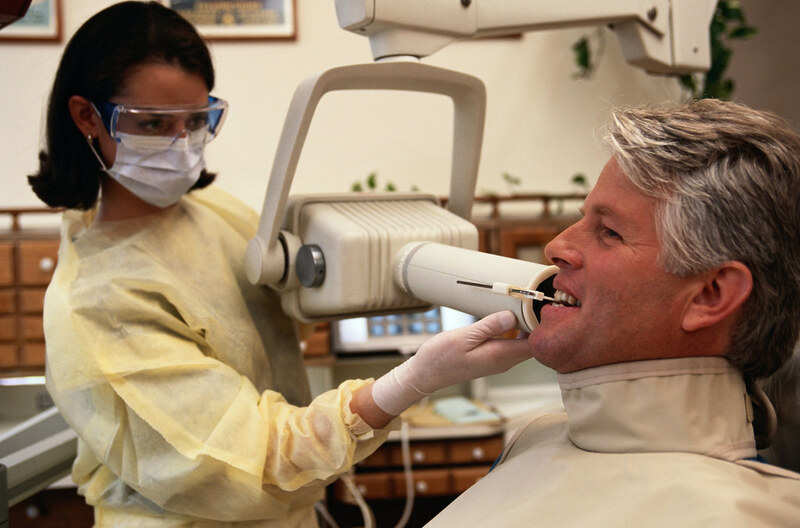 Here is a list of the top six dental problems that seniors encounter and how to deal with them. Stained Teeth: As we age, the dentin of our teeth can naturally darken over time, especially if you consume lots of foods and beverages that can stain your teeth. Outer enamel also thins over time, exacerbating this process. However, there are a number of at-home teeth whitening remedies that work rather well. Extreme staining may require more strenuous remedies administered by your dental hygienist, however. Dry mouth: caused by a reduced flow of saliva, dry mouth can often be the result of medication side effects. Radiation therapy for cancer in the head and neck regions can also cause dry mouth. This can be rectified often by chewing sugar-free gum to encourage your salivary glands to start functioning again. Also, stay away from fizzy drinks, coffee, or other caffeinated beverages as caffeine tends to dry your mouth out a bit. Lessened Sense of Taste: As we get older, we tend to lose some of our ability to sense our world. Sense of taste can lessen over time, sometimes exacerbated by medications or even from wearing dentures. If you’re a lifelong smoker, it’s time to stop, as this most certainly contribute to your loss of taste. Some periodontal diseases such as gingivitis can also interfere with your taste, so be sure to see your dentist. Root Decay: Do you remember when you were just a child when your dentist told you to brush at least twice a day? If you didn’t keep up with it all those years, you’re likely to have some root decay. Cavities can be painful and distracting, and may require your dentist to fill those cavities or even extract the tooth completely. Gum Disease: Also often caused by lack of proper oral care, gum disease, which is the leading cause of tooth loss, could also be from dentures or bridges that weren’t fitted properly, use of tobacco products, or simply allowing dental plaque to accumulate in your mouth. Diabetes, cancer, and anemia can also cause gum disease, and in this case you’ll need to treat the underlying cause as well as rely on your dentist for aid. Denture-Induced Stomatitis: Older individuals with poorly-fitted dentures often result in the tissue beneath the denture becoming inflamed. Careful care of your dentures helps to alleviate this, as daily cleaning reduces the chances of developing this condition. Your dentist may also ask you to use a medicated mouthwash or oral rinse to help fight back against stomatitis caused by your dentures.